Simple time-only functionality housed in a robust stainless steel case, the vintage Explorer 1016 is a favorite reference among vintage Rolex watch collectors. Quietly assertive without any of the flashy in-your-face approach of some other Rolex sports watches, the Explorer 1016 may have been positioned as a watch to scale mountains, but it’s a great everyday Rolex watch to wear today. Let’s find out more. As many of you already know, the Explorer collection made its debut in late 1953 in honor of Sir Edmund Hillary and Tenzing Norgay landmark ascent to the top of Mount Everest earlier that same year. Early references of the Explorer collection included the ref. 6298, the ref. 6150, and the ref. 6610. In fact, some ref. 6298 and ref. 6150 models didn’t even come with the EXPLORER label yet. Rolex introduced the Explorer 1016 in 1963 to replace the preceding Explorer 6610. As the company was already a decade into the making the Explorer collection, the ref. 1016 boasts most of the design traits will forever be associated with the model. Rolex continued to manufacture the Explorer 1016 until about 1989 when it was replaced by the Explorer ref. 14270. When the Explorer 1016 made its debut, it retained the steel construction and dial design of previous models. The steel Oyster case measures 36mm, fitted on the familiar steel Oyster bracelet. However, a notable difference was the 1016’s increased water resistance—100m meters compared to the 50m rating of the 6610. As is expected with vintage Rolex watches, early examples of the Explorer 1016 feature glossy black dials with gilt details. In the late 1960s, Rolex introduced matte black dials with white font to the Explorer 1016. Aside from the glossy to matte and gilt to white font change, the Explorer 1016 always preserved the iconic dial layout with the oversized 3/6/9 Arabic numerals positioned alongside the stick hour makers and inverted triangle at 12 o’clock. The dial is what differentiates the Explorer from other Rolex watches. Even today’s Explorer watches have essentially the same dial design. Since this particular watch was sold as a companion to take with you on treacherous expeditions, Rolex had to ensure that the dial was highly legible—hence the oversized numerals and broad Mercedes-style hands. As with all Rolex watches made in the same era, the Explorer 1016 first used radium followed by tritium for luminescence. Protecting the face of the Explorer 1016 is the vintage style domed acrylic crystal. However, it’s not uncommon to find pieces in today’s market that have replacement service acrylic crystals, which are flattened rather than domed. Another change that happened with the Explorer 1016 during its production run was the switch from Caliber 1560 to Caliber 1570 in the mid-1970s. Since the Rolex Explorer 1016 is a favorite among collectors, it has the price tag to match. The value of the Explorer 1016 has steadily increased over the last few years with interest in this important Rolex reference growing. 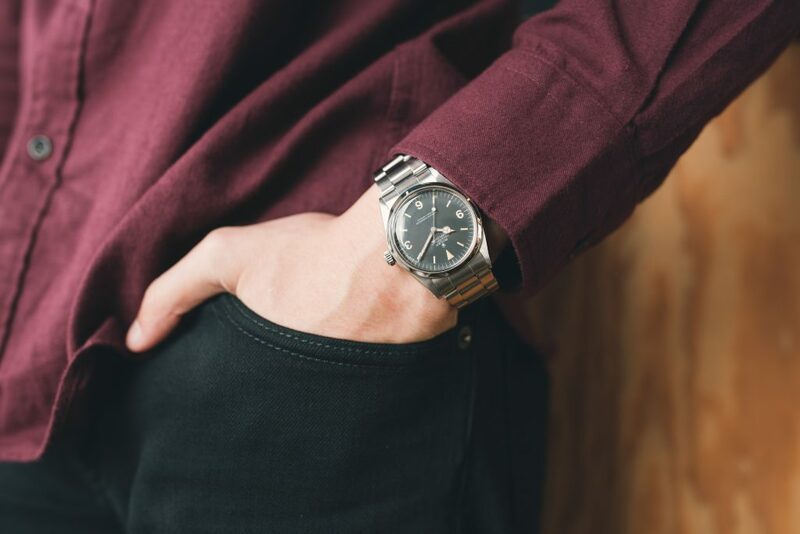 Plus, although an understated watch, the vintage Rolex Explorer 1016 even has a fan base among celebrities like Aziz Ansari, Orlando Bloom, and John Mayer. Moreover, despite its long manufacturing run, a good example of the Explorer 1016 is not an easy vintage Rolex watch to find. Depending on the production period and current condition, vintage Explorer 1016 prices typically range from about $12,000 to just under $30,000. Let’s not forget that smaller vintage-inspired men’s watches are a huge trend in modern luxury watches right now. 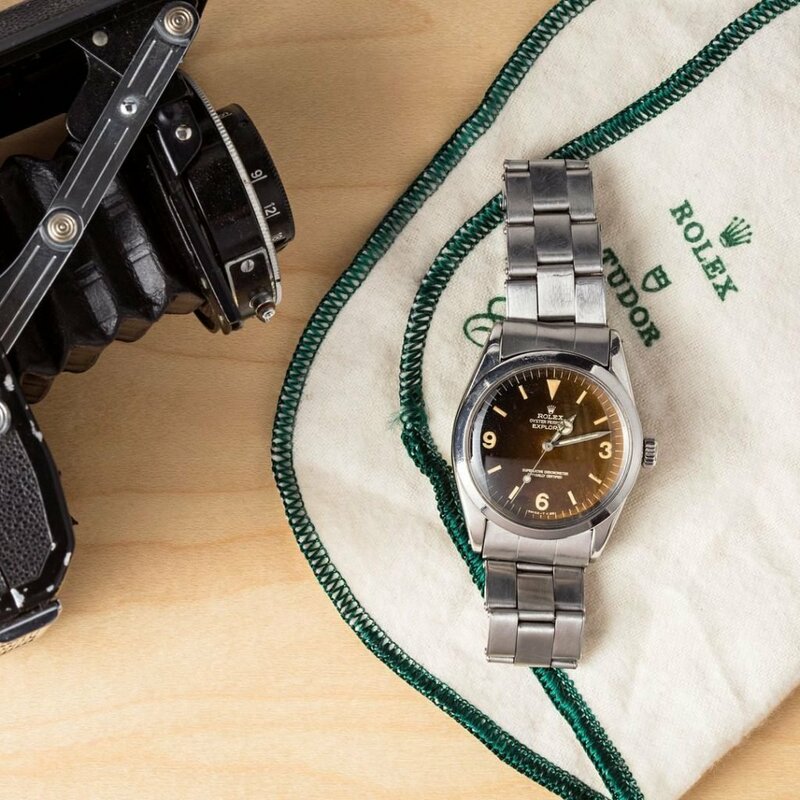 That will undeniably boost interest in the original vintage watches that serve as the source of inspiration—including the Rolex Explorer 1016. So if you’re lucky enough to find a great example of a vintage Explorer 1016, don’t wait too long to make it yours because there will be a long line of people behind you wanting the same one!